Tech Teacher Tidbits: Beyond Excited!!! Guess what?! I secretly applied for a Pets in the Classroom grant on Jan. 4th (with my principal's permission, of course). We received approval this past Wednesday. For those of you that are not familiar with Pets in the Classroom, it's super easy. If you are thinking about a pet, you definitely need to check it out. There are four grant types, including: 1- Rebate Grants in the amounts of $100 (for small animal or birds) or $150 (for reptiles or fish) for purchases at any pet store; 2- the Sustaining Grant in the amount of $50 to maintain an existing classroom pet; 3- Petco Grant, which provides coupons for the live animal, pet habitat and supplies purchased at Petco; and 4- a Petsmart Grant, which provides coupons for the live animal, pet habitat and supplies purchased at Petsmart. When I find the perfect little babies for our classroom, I'll post some pictures for you to see. If anyone has any tips or advice, I'd love for you to leave a comment. Thanks for sharing my excitement! That's going to be so much fun!! You will love having a pet in your classroom. I have a hamster. I didn't think I was a rodent fan, but he is so cute. He won me over. congrats Dianne!! That will be awesome for you and your class. I can't wait to see pics! Thanks, Girls! I'm having so much fun already and my family thinks I'm crazy!! 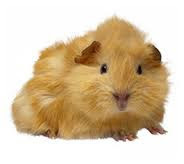 You will love having guinea pigs! Can't wait to see pics.